Aanjaneya Lifecare bagged coveted BSE Award for Best Return to Investors Reviewed by PHARMALEADERS on February 18, 2013 . Maharashtra Governor K. Shankanarayanan urges Industry Leaders to make Maharashtra as Manufacturing Hub for Pharmaceutical Productions, Confers top Awards to Veterans of the Healthcare Industry. September 24, 2012 2:39 am – Aanjaneya Lifecare bagged coveted BSE Award for Best Return to Investors, Padmashree Dr Mukesh Batra is Business Leader of the Year, Dr Mukesh Hariawala as India’s Most Admired Surgeon & Thirty Three top Asia Pharmaleaders Felicitated. Friday, 22nd September 2012, Mumbai, Maharashtra: Pharmaleaders’s 5th Annual Pharmaceutical Leadership Summit & Business Leadership Awards 2012 held at Hotel Hilton Mumbai International Airport, Mumbai, India Brand India : Beyond Generics, Growth, Challenges & Developments in Mumbai on Friday, the 21st September 2012 at Hotel Hilton Mumbai International Airport witnessed more than 250 Business Tycoons, Owners of Pharma Companies, Government Officials, Doctors, Overseas Companies,Policy Makers & Bureaucrats. In a historic address Satya Brahma, Chairman & Editor-In-Chief of Pharmaleaders Magazine addressing in his opening address lambasted the Government of lack of political will to bring a consensus on the issue of “Free Medicines” as the Central Government has put in place a $5.4 billion policy to provide free medicine to its people, a decision that could change the lives of hundreds of millions. From city hospitals to tiny rural clinics, India’s public doctors will soon be able to prescribe free generic drugs to all comers, vastly expanding access to medicine in a country where public spending on health was just $4.50 per person last year. “While welcoming the decision of such move, there are apprehensions that the decision could in fact divide the opinions of the MNC’s & Domestic Pharma Majors as Medical Doctors who have been practicing with their respective practices of established pharmaceutical Companies with the research molecules & have spent years to ensure the efficacy of drugs & undergoing Clinical Trials with the approved laboratories, It indeed will be disastrous considering the process & mechanism of its implementations & Patient Safety will be a biggest Challenge”. 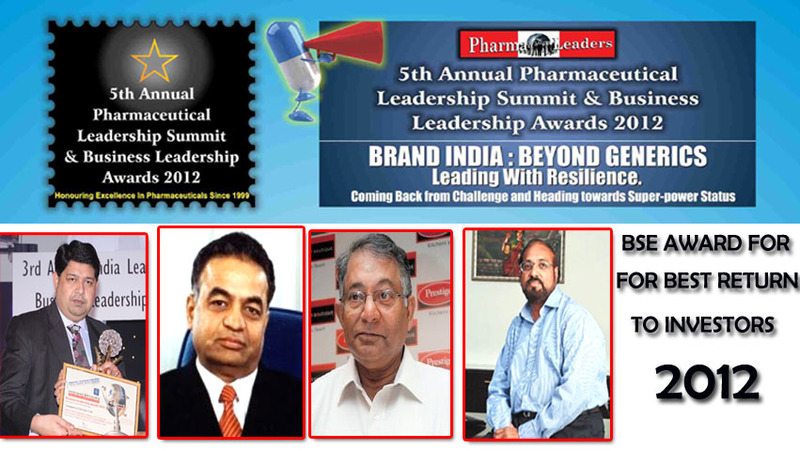 Among those who addresses at the prestigious Summit of Pharm leaders included the veterans & Top Doctors on topics that mattered most such as Challenges and Opportunities for Indian Pharma Industry to become Pharma Superpower in 2020 by Dr Mahesh Burande, Hon Director,Institute of Pharmaceutical Education and Research (IPER). Branded Formulations VS Branded Generics, 2012 Pharmaceutical Diversification Trends by Kewal Handa, Ex Managing Director, Pfizer Ltd. & Wyeth Ltd, Making of Dr Batras Brand, Indian Experience VS Global Challenges by Dr Mukesh Batra.Founder Chairman, Dr Batra’s Positive Clinic, Are We Ready For A “Mechanical Artificial Heart For Indian Patients by Dr Mukesh Hariawala, Cardiac Surgeon & Healthcare Economist, Harvard Medical School Affiliated Hospitals, Boston, USA. Regulatory Challenges of Indian Pharmaceutical companies. A CEO’s Perspective by Dr. Shenaz Khaleeli ,Co- Founder & Technical Director, PharmaLeaf India Pvt Ltd, Delivering value in the Supply Chain by Sue Arden, VP Life Sciences & Healthcare. DP DHL, Singapore, Neutraceutical & OTC Sector: The European Market Challenge by François Licoppe, CEO,Eubage Laboratory, Belgium, Indian Pharma Industry : Challenges & Key Issues in partnership, Alliances & Co-Marketing by Shivkumar Kunchithapatham, Managing Director, Eisai Pharmaceuticals India Private Limited, Innovative Trends in Facial Aesthetics – Indian Challenges with Global Experiments by Dr. Shuba Dharmana Cosmetic Dermatologist, Laser Specialist, Hair Transplant Surgeon, CEO Dr.Shuba Skin & Laser Clinic. The Highlight of the Summit was that of much awaited lecture by Indo-Americam Cardiac Surgeon & Healthcare Economist Dr Mukesh Hariawala. Dr Hariawala stunned the audience by showing an Artificial Heart & a video clip where a working woman was seen exercising without having a Natural Heart as the Artificial Heart was used. He also unveiled the triple heart therapy & 100 Billion $ Medical Tourism Oppourtunities for India. In his Chief Guest Address, Maharashtra Governor K. Shankaranaranan said that “Pharmaleaders Magazine has also presented our healthcare industry to the global platforms being the largest research based & technologically innovative hub of Healthcare Companies. The Award Winners were declared ending 66 days of voting by a Nationwide Niminations & Juries Decision. Those who were awarded are. 3. Mr Arun Sawhney, MD, Ranbaxy Ltd.
4. Dr Alok Mishra, Managing Director, Advaita Pharma Pvt Ltd.
1. Mr Deepak Pahwa, Chairman, Pahwa Enterprises. 2. Mr N.R.Munjal, Chairman, Ind-Swift Ltd.
3. Mr Kashi Vishwanath, Chairman, Aanjaneya Lifecare Ltd.
12. India’s Most Admired Surgeon Of the Year 2012. 18. India’s Most Admired Promising Hospital Chain 2012. 19. Upcoming Biotech Pharma Company of The Year 2012 . 2. Dr Shuba Dharmana, CEO, Dr Shuba’s Clinic. 23. India’s Most Promising Outsourcing Pharma Company in CRAMS. 30. First Generation Woman Entrepreneur of the Year 2012 . 31. India’s Most Preferred Pharmaceutical Group in CRAMS Management.